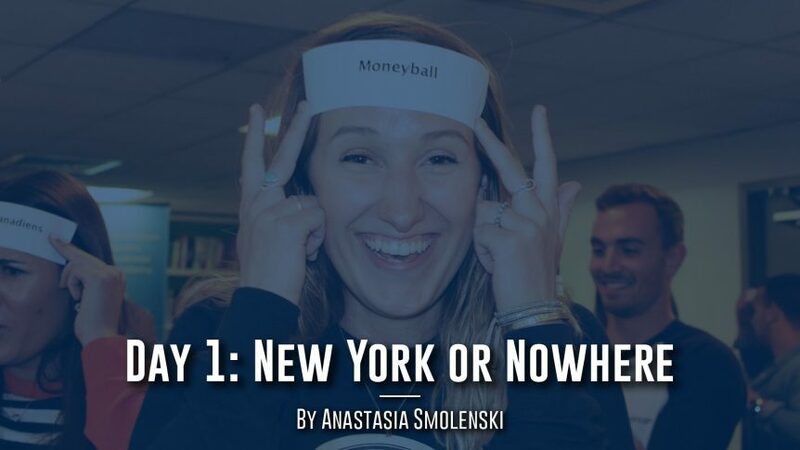 Before I knew I wanted to work in sports, I knew I wanted to be a New Yorker. At some point in my life, it didn’t really matter for how long, I just had to be able to say, “I live in New York.” Now don’t get me wrong, growing up in Jersey was great, but something about the fast pace of the city has always captivated me. As I watched the tall buildings slowly rise from the horizon during the drive towards MSBA Housing in the Upper East Side, it hit me – I’m actually, finally, able to call New York my home. The irony of this realization was not lost on my mom, who has commuted over an hour into the city for work for the past 30 plus years; meanwhile, here I am with my first job in the Big Apple with an absolutely dreadful five-minute walk to my internship at DREAM every morning. Move-in was filled with a lot of nerves and eagerness – did I bring too much stuff? Too little? What are my roommates going to be like? (Grace and Lindell – have no fear, so far so good!) After meeting everyone for the first time at Orientation, the butterflies in my stomach were instantly replaced with pure excitement for the schedule Lorne and Bailey shared with us. My anticipation for all the Speaker events, Office Field Trips, and Mentor bonding was coupled with a very strong feeling of “damn, how the hell did I end up in this room?” In my brief conversations with everyone throughout the night, it became clear that this summer I will be surrounded by an incredibly special and talented group of people. We also heard from David, the program’s Co-Founder and Managing Director, who emphasized that MSBA is a family. Last but certainly not least, after Orientation we headed out to our first family gathering at Buffalo Wild Wings in Times Square, complete with the hot wing challenge, an MSBA tradition. Even after our first dinner together, I am confident that David is right – I have no doubt that I will leave this summer with some lifelong friends. All in all, Day One was a blur. When I returned to my room and began to pencil the rest of the week into my planner (I’m old fashioned and should really try Google Calendar, I know), I realized that the next eight weeks would be the same. While there’s no way to guess what the rest of MSBA will bring, I’m determined to make the most of each and every day.